The hike begins in a leisurely way. You walk over green mountain meadows and pass through sparse larch and Alpine pine forests. After the “Im Boden” area, you leave the hanging bridge on the left and arrive at the intersection of the two streams, the Furggbach and the Gornera; the latter is the outflow from the Gorner glacier. You cross the streams on small bridges, under which the streams murmur or change to thunderous grey behemoths depending on the time of year, weather, and the melt-off from the glacier. Then the path continues upwards along the left side of the Gornera. The landscape here is no longer “charming”; this is “pathfinder territory” where debris fields pile up the rubble while pioneer larch trees have already put down roots. In the valley below is the steep climb to the vantage point at Blattenten. Glaciers grow and shrink – over the centuries and the millennia. The Gorner glacier reached its maximum length between 1859 and 1865, then also in 1667, and in 1385. In between those milestones, the glacier retreated by about 1,000 m. There was hardly any glacial mass that could be called the Gorner glacier – in other words, it did not exist in the year 1,000 and during the century when Christ was born. 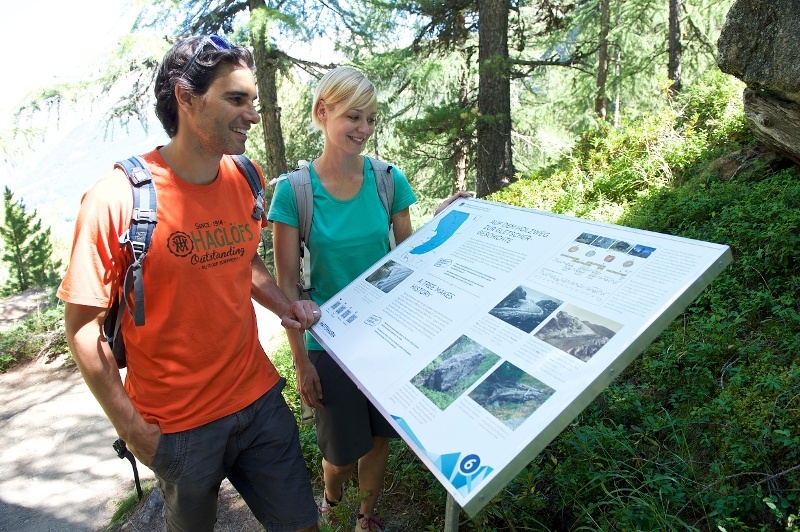 The information boards along the signed theme way explain the phenomenon of glacier existence. 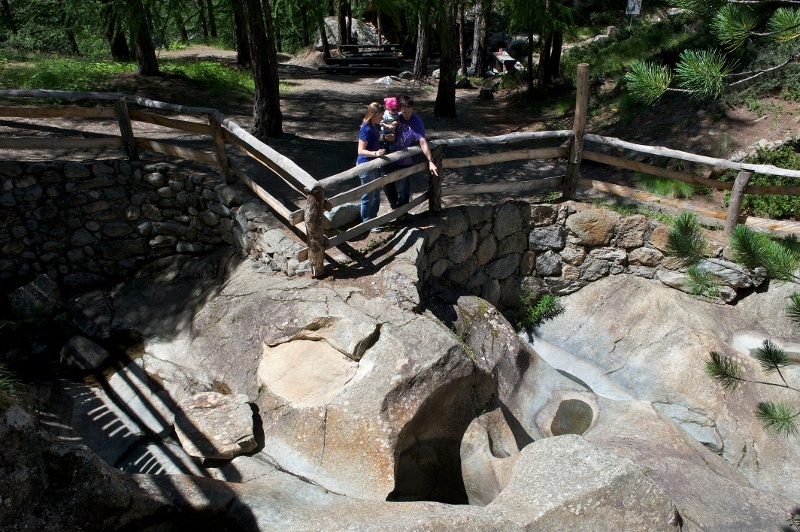 On the return path, the Dossen glacier garden can also be visited. There are ten boards along the path in German and English explaining the glacier world. The history of the “Im Boden” alp, which was buried under the advancing ice mass in the 19th century, is exciting. As is also the fact that the local people undertook a tree-clearing process to steal the valuable wood away from the greedy gullet of the advancing glacier. Smartphone: QR codes on the information boards provide additional information; in French and Italian as well. Take along a picnic. There is a barbecue area and a playground at the Dossen glacier garden along the return route towards Furi. The Matterhorn Museum - Zermatlantis shows mountain reliefs where the glaciers in the area around Zermatt are clearly visible. Caution: We strongly advise that you do not go to the tongue of the glacier on your own. 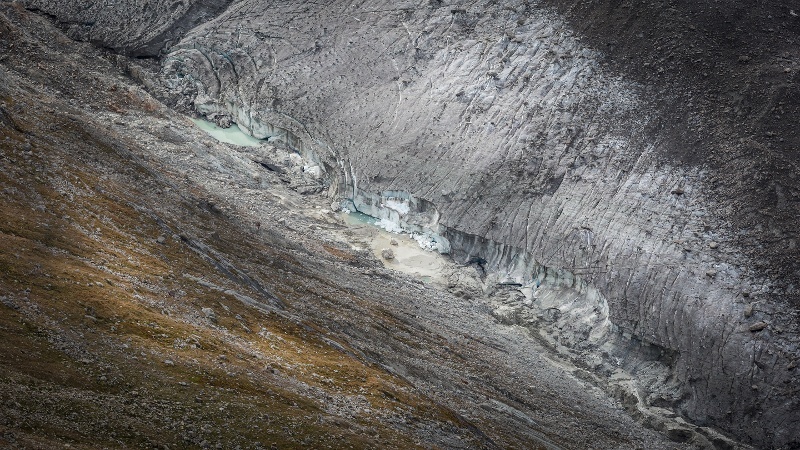 There are many dangers to be found in the area around the end of a glacier: rushing water, glacier sheering, invisible glacier ice under the rubble that could break, etc. If you would like to go near the glacier, you must go with a mountain guide (Zermatters).